Cobb County is the seventh healthiest among Georgia’s 159 counties, according to the 2018 County Health Rankings & Roadmaps from the Robert Wood Johnson Foundation. This yearly report evaluates counties across the U.S. by criteria including length of life, quality of life, health behavior, clinical care, social and economic factors, and the physical environment. Cobb performed best in the health behaviors category, where the county ranked second. That category includes factors affecting health, such as smoking, excessive drinking, level of exercise, and obesity. The county’s weakest performances were in the physical environment (82nd place) and clinical care (22nd place). The physical environment includes things like pollution, severe housing problems, and long commute times. Clinical care includes health insurance and availability of various medical services. According to the ranking, the healthiest county is Forsyth, and the least healthy is Quitman. 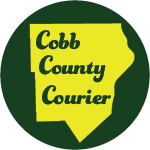 This report is prepared yearly, and you can read the entire report for Cobb County here. Be the first to comment on "Cobb County ranks 7th in health among Georgia counties according to report"